For a different twist to his citizenship unit this year, social studies teacher Bob Schmidt is having his sophomore government class run a toy drive. The class will be running the drive as a class project in time for the holidays. “It’s one thing to talk about citizenship and another to do it,” Schmidt said. Every student in the class has an active role in some aspect of planning and running the drive. Jobs include helping with publicity, contacting churches and other organizations, collecting toys at sporting events, and delivering and counting the toys. The class will be collecting toys at basketball games, local churches and at high school in room 256. Both new and used toys will be accepted. Student senate is also endorsing the drive and will contribute $500 for the class to buy toys at Walmart. 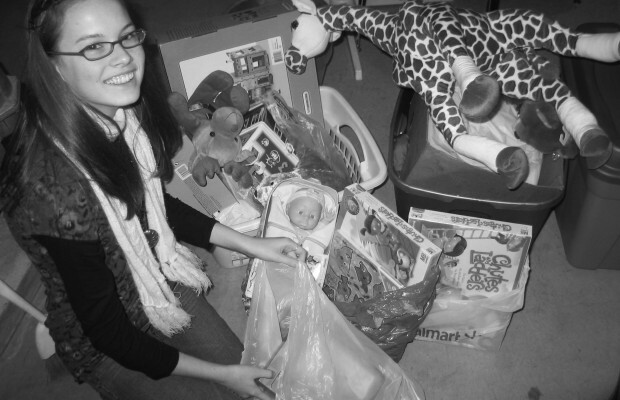 All the toys collected will be donated to the Toys for Tots foundation and distributed to underprivileged children. The class will be accepting toys until December 14th.